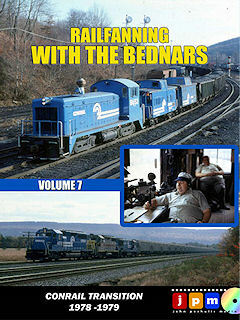 anthr70 Anthracite Railroads in the 70s, Vol. 1 50 min. anthr72 Anthracite Railroads in the 70s, Vol. 2 76 min. anthr73 Anthracite Railroads in the 70s, Vol. 3 84 min. anthr74 Anthracite Railroads in the 70s, Vol. 4 76 min. rftarv1 Railfanning the Appalachian Region, Vol. 1 60 min. rftarv2 Railfanning the Appalachian Region, Vol. 2 71 min.